It’s no rocket science that electric vehicles are the future. Modern advances in electric technology are making electric powered vehicles closer to mainstream reality than they ever were. If the progress continues at the current pace, the conventional internal combustion engine powered vehicles may soon go extinct. Sohinder Gill, CEO Global Hero Electric talks exclusively with Motoroids to give us an insight into how the electric vehicle market is developing and, more importantly, how well prepared is our industry to cope with it. Q: Electricity is definitely the future. Electric vehicles would slowly but gradually replace gasoline powered vehicles. How well is Hero Electric prepared to welcome the future? What products/concepts can we see from Hero Electric in the coming days? A: The answer may have different perspectives considering various factors such as societal conditions, consumer preferences, level of infrastructure etc. In terms of the Indian society, a push for the adoption of electric vehicles is the need of the hour. We are completely prepared for the future, not only in-terms of e-2 wheelers but also with pool of equipped and experienced workforce to tackle rise in demands. 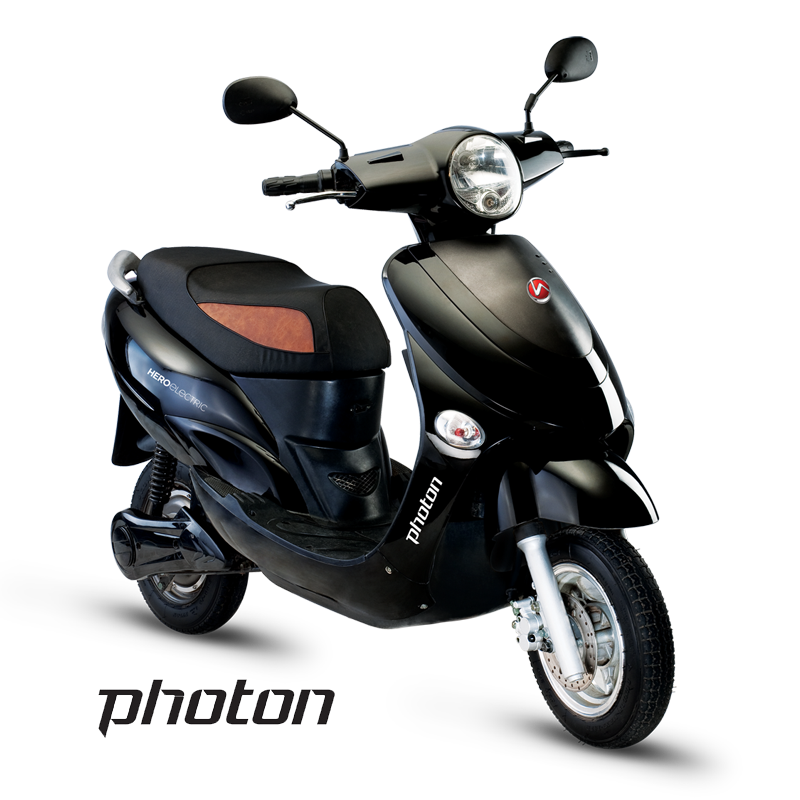 We have a range of Electric 2 wheelers targeted to various needs and user preferences. The latest technology adopted by us for Indian Market is Lithium-ion technology and we have already converted all our vehicles into Lithium ion technology. This technology is going to bring the revolution in the EV industry and will also solve the problem of charging time. Q: A major deterrent to electric mobility becoming more adoptable is the slow rate of progress in the field of electric charge storage. Can you throw some light on the advancements in the field, and how the affordable electric two wheelers are going to benefit from it? A: Lithium-ion technology with High Charge Density is the latest technology in the field of electric charge storage. This technology is going to bring the revolution in the EV industry and will also solve the problem of charging time. The batteries are portable, can be easily disconnected and can be easily taken out and charged separately. This feature is preferred by buyers who buy E Bike for commercial use and also residents living in multi-storey apartments so they can easily take out the light weight battery and take along to charge separately. In commercial usage, the discharged battery can be easily replaced with charged battery. It will take less time to charge and has low discharge rate. The ability of the core lithium-ion chemistry to hold larger charges than any other commercially available technology so far is beginning to see it change the way society manages electrical energy. The reason for us to pursue a lithium-ion battery [today] is that we would like to have a optimised energy storage system. The type of battery technology is very much linked to the application, that is, energy or power. Lithium-ion batteries have a high energy density making them interesting in order to minimize the physical footprint. Q: Does Hero Electric plan to overtake overseas brands that have expertise in manufacturing electric motorcycles? A: We have no plan in the near future; we have our own A2B segment. We have our vehicles designed in Germany and manufactured in China. Business in foreign markets is not dependent on subsidies. In fact, our vehicles are much higher priced in these places and fall under the category of lifestyle products. Our products abroad enjoy a healthy consumer base amongst individuals aged 50 years and above, as these users are environmentally-conscious and strive to maintain a balanced and healthy perspective in all aspects of their life. Q: Lack of infrastructure for battery operated vehicles is a major concern for manufacturers. How quickly do you think the infrastructure for electric vehicles can get in place? A: Yes, lack of Infrastructure creates a sense of fear of being stranded on the roads in case of discharge. However, in practice, it rarely turns to reality in case of an electric 2 wheeler which is used for short commutes and a fully charged electric 2 wheeler can go upto 70km/charge. Sure, charging stations will bring positivity in EV Industry and Government should take necessary steps to install charging stations at metro stations, parking lots, hospitals, movie halls, malls, etc where vehicles are parked and left for some time. Government should also come up with a policy/scheme for private business entrepreneurs to set up charging stations as a business opportunity. Remember – PCOs. 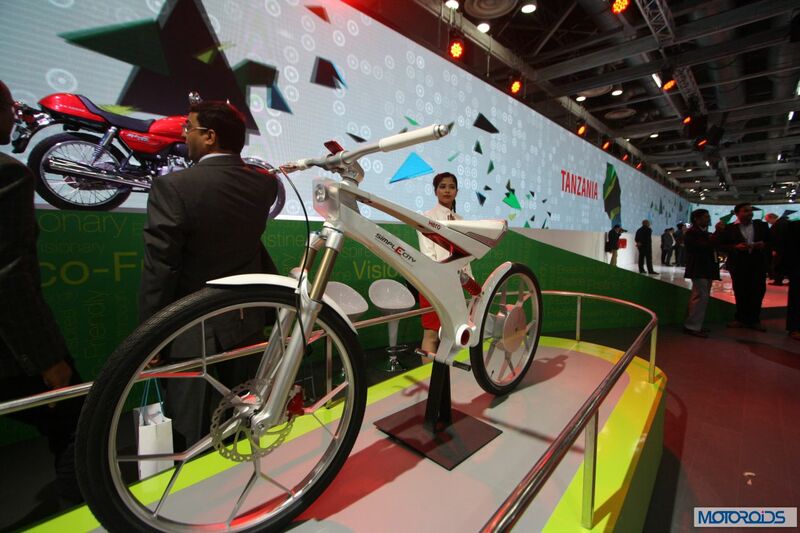 Q: What are your projections for the electric two wheeler market for the next three to five years? A: If the Government takes all innumerate action in NEMMP, it will touch one million in three-five years. Q: How many dealerships does Hero Electric plan to have pan India in the next couple of years? Q: In terms of sales, how are your current products performing, both domestically and in exports? How do you see the numbers grow going forward? A: 65% market share in India. In international market its negligible due to China exports. 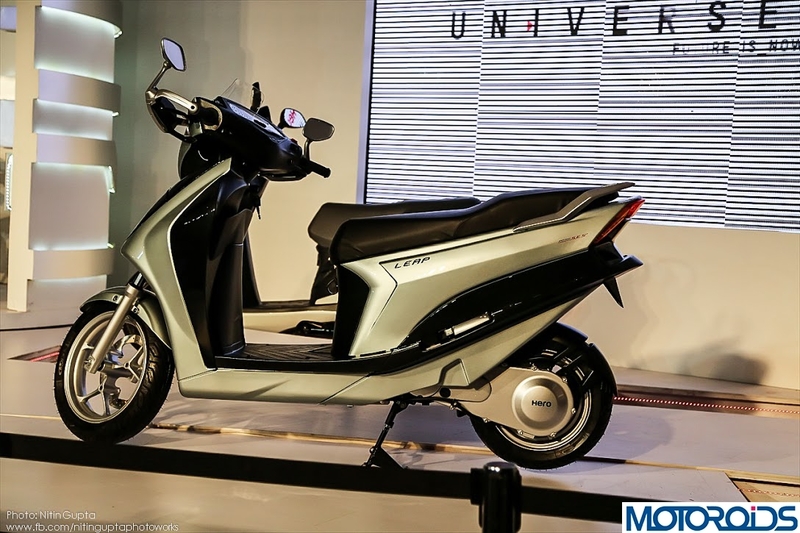 Q: Range remains a major issue with most mainstream two-wheelers, what sorts of a range can a consumer expect realistically from a reasonably priced electric two-wheeler in the near future? A: Range and speed is directly proportional to battery capacity. The more you want, the bigger and better batteries you will have to put in the vehicle which will result in increase in price. However, realistically 100 Km/charge – 120 Km/charge is a sufficient range for a electric 2 wheeler. 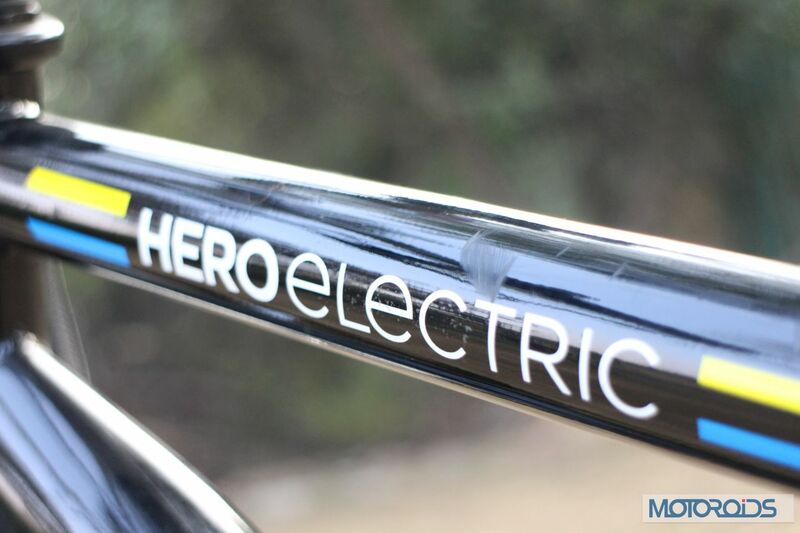 Q: Will Hero Electric venture into electric car business? A: We are not planning to venture into electric cars for now; we will stick to two wheeler industry. Q: Do you see any other technology posing a threat to electric vehicles in the medium to long term? A: Every technology has its own takers. If we talk about a zero emission, 100% petrol free vehicle, you will have to go for an electric vehicle and in the long run, I see Electric to be the ultimate solution. However the current hybrid vehicles will serve as the transition medium for users to go to fully electric vehicles. Q: What makes Hero Electric stand apart from the rest of the players in the field? A: Hero Electric have 70% of the market share of the industry, the volume of sales are so low that it does not paint an encouraging picture. The USP of our products are eco-friendliness, low cost and light weight. Our products are easy to use, and no registration or license is required for the product. We are one of the oldest and leading players in the segment and that has helped us to expand and sustain Hero Electric.